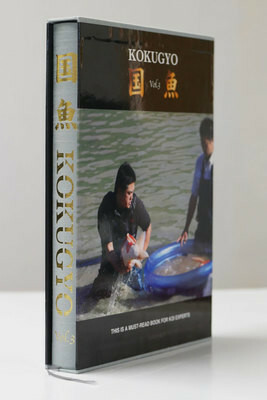 If you want to sharpen your eye for quality Japanese koi and think like a koi judge, the Kokugyo Vol. 3 is the book for you. A continuation of Kokugyo Vol. 1 and 2, this book shares author Mamoru Kodama's 40+ years of experience looking for and producing quality koi. Use this book (with over 350 pages) as a guide to tell which koi is the best when you buy or judge koi or produce them. Makes a great gift for a fellow koi lover's library.